Any person who possesses a Medicare card and is under 65 years of age. Any person who qualifies for Medicare need not have the form certified by a physician or social service agency, but may obtain a card from the transit agency directly upon presentation of his or her Medicare Card. A person over 65 years of age qualifies under Pennsylvania’s Free Transit Program for Senior Citizens. Yes, there are discounts for both Youth (age 7-12) and students (age 13 & up with ID). Student passes and tickets are only issued after properly showing school ID or your current college schedule indicating you are a full-time student (12 or more credits). There are no exceptions. If your school does not issue a school, ID, Contact US. For regular student fares, see our urban fares and rural fares. 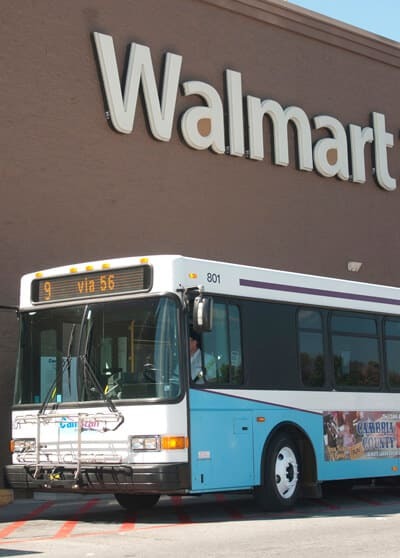 Senior citizens age 65 and older are eligible to ride any fixed route bus FREE. You can download an application in Acrobat Adobe format (pdf file). Click Here: 65+ AP﻿PLICATION. You can also call either of the CamTran or CamTran+ offices, and we will send you an application. Click here to contact us. Simply fill out the application and send it back to us with the required proof of age, and we will send you a card. You may also visit either of our offices, fill out the application, and receive your card immediately. Please remember that you MUST provide proof of your age in order to receive your card. Acceptable proofs of age include: Birth Certificate, Baptismal Certificate, PACE Card, Naturalization Papers, Passport, Statement from Social Security Administration, Armed Forces Discharge/Separation Papers, Pennsylvania Identification Card, Photo Motor Vehicle Operator's License, Resident Alien Card, or Veteran's Universal Access Identification Card. Is there a discount for persons with disabilities? 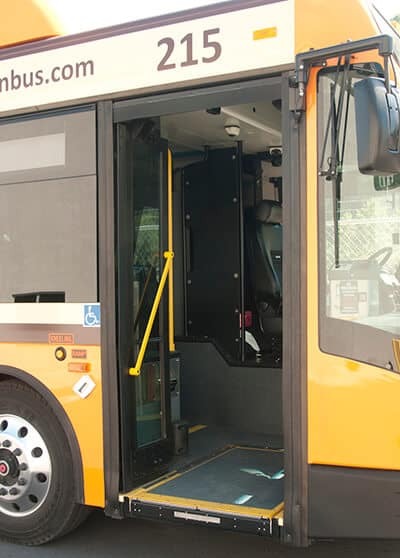 If you are physically challenged, you may be entitled to a Reduced-Fare Transit Identification Card. This includes Medicare cardholders. Also, Check out "Our Services" to see if you qualify for our Persons with Disabilities program. A Medicare card is sufficient proof of disability for persons under the age of 65. If you under the age of 65 and do not have a Medicare card, a doctor or authorized agency must sign the application, verifying your disability. Once this is done, return the application to our office either by mail or in person, and we will issue a Reduced Fare Transit ID Card. Seniors (65 or older) are eligible for a Senior Card which entitles them to free rides on any fixed route buses.